It was in 1947, while still training under Chow, that Mr. Emperado joined with 4 other black belts to develop a style of their own. These five called themselves the “Black Belt Society”. These men developed a new system that they named, Kajukenbo. It was in 1950, after the other four members went to the Korean War, that Mr. Emperado founded the “Kajukenbo Self Defense Institute of Hawaii”. It was located in the Palama Settlement. Decades before anyone envisioned the combining of martial arts systems to form a eclectic system 5 men in Hawaii were already doing it. These men were not like some of our modern day style founders who have a marginal knowledge of various systems and no expertise in any. These men were all masters in their own systems. Peter Choo was a welterweight boxing champion and a black belt in tang soo do. 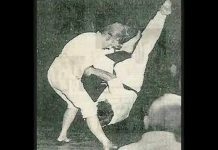 Frank Ordonez was a black belt in sekeino jujitsu. 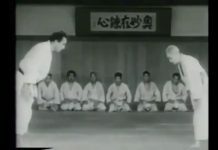 Joe Holke was a 8th degree black belt in kodokan judo. Clarence Chang was a master of sil-lum pai kung fu. And Adriano Emperado was a 5th degree black belt in kara-ho kenpo. All 5 of these men worked together between the years 1947-49 to combine their techniques and create the Kajukenbo system. With the start of the Korean War, Joe Holke, Peter Choo, Frank Ordonez, and Clarence Chang were drafted into service. This left Emperado to teach their new art. Adriano D. Emperado was born to Filipino-Hawaiian parents in the poor Palama section of Honolulu. Like a lot of poor areas, the Palama settlement was a violent place to live. Confrontations and fights were a daily occurrence. Because of this Emperado started his self defense training at the age of 8. At this time in his life both his father and uncle were professional boxers, so of course he was taught how to box. His next training came at the age of 11 while he was living with his older brother in Kauai. There he learned the basic 12 strikes of escrima. At age 14 he found himself back in his old Palama neighborhood. There he trained in judo under Sensei Taneo at the Palama Settlement Gym. A few years later at the age of 20 Emperado undertook the serious study of kenpo at the Catholic Youth Organization in Honolulu. These classes were taught by the legendary Professor William K.S. Chow. 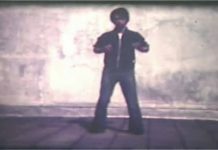 Professor Chow had been a student of kenpo jiu jitsu instructor James Mitose, and also held a 5th degree black belt in judo. Emperado trained daily with Chow and soon became his first black belt. Emperado spent many years with Professor Chow becoming his Chief Instructor and attaining the rank of 5th degree black belt. 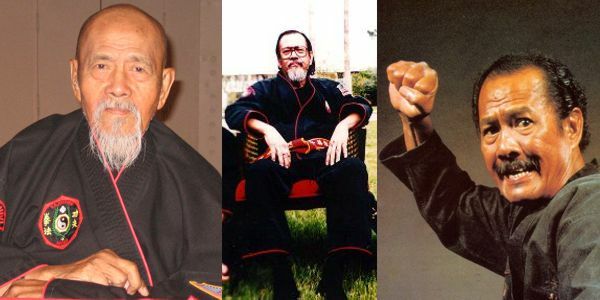 During the developmental years of kajukenbo Emperado would train with the 4 other co-founders during the day and then teach classes for Chow in the evenings. After the other 4 went off to war, Emperado started the first kajukenbo school at the Palama Settlement Gym in 1950. At the Palama school students could train for $2.00 a month. The workouts that took place there are legendary for their brutality. Emperado has been quoted as saying that a workout wasn’t over until there was blood on the floor. When this author asked him about this statement he explained that the statement was true. He went on to say “that you have to experience pain before you can give it. You have to know what your technique can do. “We lost a lot of students in those days, but we also got a lot from other schools, including black belts. These students would look at what we were doing and realize that we had a no nonsense effective system”. When asked who some of these early black belts were he named Woodrow McCandless from the Mitose school, Brother Abe Kamahoahoa and Paul Yamaguichi from the Chow school, and others from various fighting systems. He then described how his first black belt Marino Tiwanak joined his class after being soundly defeated by him in response to Tiwanak’s challenge. What makes this such a astonishing story is the fact that Marino Tiwanak was the flyweight boxing champion of Hawaii at the time of the challenge. With the success of the Palama Settlement school Emperado started expanding. He left the teaching at the Palama school to his brother Joe while he started classes at the Kaimuki Y.M.C.A. and the Wahiwa Y.M.C.A.. 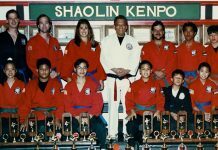 Soon the Kajukenbo Self Defense Institute of Hawaii, Inc. was the largest chain of karate schools in Hawaii. 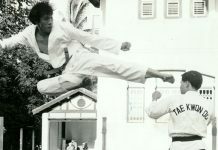 Emperado also became instrumental in the development of tournament karate in Hawaii. He sat on the Hawaii Karate Rules Board, which established standards for competition used throughout the islands. He also promoted and officiated at several major karate tournaments throughout the islands. Although he was very successful in the martial arts he never made a living at it. Because he taught at Y.M.C.A.’s and recreation centers he always kept his student fees low. A lot of Emperado’s knowledge of street fighting came from his many years in law enforcement. He had spent 14 years as a harbor policeman for the Hawaii Department of a Transportation, and a year with the Hawaii Attorney General’s Office. While with the Attorney General’s Office he served as a body guard to the governor. He then entered the private sector as the security director for a large company. He worked in the corporate security field until he suffered a heart attack in 1982. All of his life Emperado has studied various martial arts. In his 30s he expanded his knowledge of escrima by training with his step father Alfredo Peralta. Peralta taught him a method using the single stick. Emperado described how they would take 2x4s and taper down handles and then train with them. He said that “after a workout with the 2×4 you could make a rattan stick go like lighting”. Because he had been exposed to many fighting systems Emperado has always been one to welcome innovation. Unlike most of the traditional systems, his kajukenbo evolves constantly. To date there are 4 systems within then kajukenbo style. The first of course is the Original Method, sometimes referred to as the kenpo karate branch. This is the system that Emperado, Holke, Choo, Ordonez, and Chang formulated between 1947 and 1949. 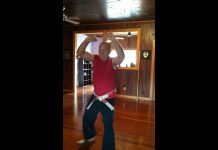 The original method uses kenpo karate as a base and adds selected techniques from the tang soo do, judo, jujitsu, and sil-lum pai kung fu systems. The second system is the Tum Pai branch. This system was in development from 1959-1966 by Emperado, Al Dacascos, and Al De La Cruz. Development was suspended in 1966 when Dacascos moved to the mainland. Its development was then re-activated in 1984 by Jon Loren. The Tum Pai system incorporates the original kajukenbo techniques along with tai chi chuan elements. The third system is the Chuan Fa branch. This system started development in 1966. Again this was a collaboration of Emperado, Al Dacascos, and Al De La Cruz. This system incorporated the Northern and Southern styles of kung fu with the original method of kajukenbo. With a very heavy heart I would like to inform everyone that our founder and leader of Kajukenbo Self Defense Institute (KSDI), Sijo Adriano D. Emperado has passed away. Sijo Adriano D. Emperado passed away peacefully in his sleep on April 4, 2009 at approximately 11:15 pm. He passed away on Maui, Hawaii the island that he loved and was home to him. This is a great loss for everyone in Kajukenbo worldwide. More information will be forthcoming. “Memories with Sijo Adriano Emperado” — Courtesy of Dan & Patricia Tyrrell, Guangxi Martial Arts Tyrrell Academy.